Remember when you first purchased your brand new PC? It probably was fast and responsive and worked great. But lately it seems to be slow and unresponsive, and may even take forever to start up and shut down. Well, there's a good reason for this condition. When it was new, your PC's hardware was perfectly balanced with the installed software that was included with your purchase. But much has happened since the day you brought it home from the store. It has undergone numerous Microsoft updates and applications software updates and changes to your original configuration. 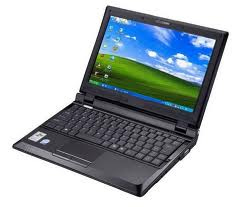 You have probably added new software programs, and removed some of the old software programs. And if you have surfed the Internet, you have been exposed to viruses, adware, spyware, trojan horses and worms. Our most popular service is the $129 PC Tune-Up & Virus Removal, which basically returns your PC to the operating condition when it was new, without any loss of data (documents, pictures, music, spreadsheets, financial data, etc.). More specifically, we check out your hardware, adjust your basic configuration, search and eliminate any and all infections, restore corrupted system files, make sure your protection is up to date and in force and install a couple of useful utilities that will keep your PC healthy from now on. Our $129 PC Tune-Up & Virus Removal is performed in our shop. This price does not include pickup or delivery of the PC to your house or business. Those services are available at additional cost. What if my computer slows back down or I get another virus? The PC Tuneup includes a 1-Year Limited Guarantee against future infections and slow performance. If your PC becomes reinfected, or if it becomes slow again, then we will perform another PC Tuneup based on how long it has been since your first PC Tuneup. See below for more details about how the guarantee works.